It's another day of sneak peeks for the October My Creative Time release, and today we have the most adorable winter stamp and die set for you called Winter Cheer! You will just love this set!!! I used the largest die from Bunch of Fun Circle Dies to make a circle in my kraft card base, and did the same with a layer for the inside of the card, and then sandwiched a piece of vellum in between them. This gave me a place to adhere my cute little mittens that I made with dies from Winter Cheer. This set also comes with mitten stamps, if you prefer to stamp and color your mittens. I used the heart string to hold my mittens, but there is also one that is just a loop. There are darling ice-skate stamps and dies in this set too!!! I just love the font on the sentiment! There are lots of sentiments to choose from. I added strips of cardstock and patterned paper at the bottom of the card to coordinate with my little mittens. The patterned paper I used was from BasicGrey's Eskimo Kisses collection. Love how the hearts go with these mittens! Simply adorable! This mitten card is so sweet, Pink is my favorite color! AWWWWWW I love your card your mittens are so .... so cute!! 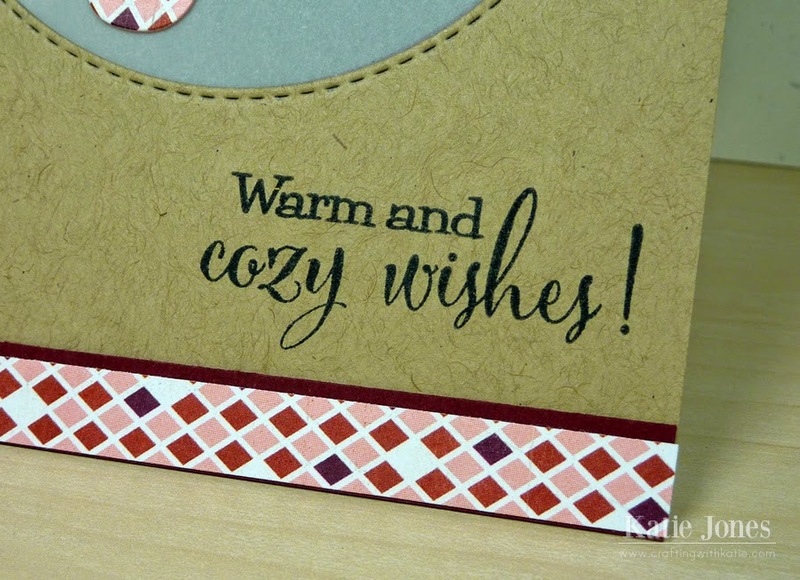 I love too how they matchy match the trim made me think of it being the scarf...what an adorabs card it definitely says cuddly, comfy just love so love the way you've used today's Sneak Peek!! YOU ROCK!! Sweet and simple - just the way I like it. Katie~ Such a pretty card!! I love the colors you used and I agree with you, the font on Emma's new stamp set is so pretty! This is so cute. Love the mittens on the kraftstock. I love all your adorable projects! The little gloves are so fun and can see so many possibilities with this set! Your card is ADORABLE. Love how you framed up the mittens in the circle. Thanks for sharing. So pretty, love the patterned mitts!!! Great design, putting the mittens in the stitched circle cut out. Love this CAS card Katie! This set is absolutely adorable! Katie I love your card! And I love the font on these stamps too. Just gorgeous! Thanks so much for sharing! Have a great day! 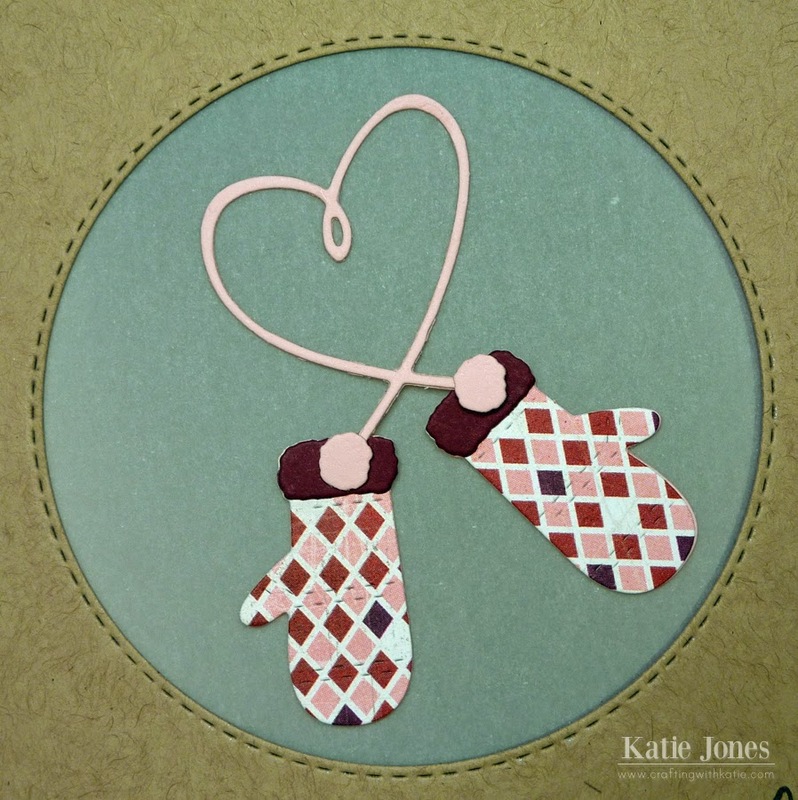 Love your sweet and whimsical paper pieced mittens! Simply adorable! Those mittens are adorbs! I love the pp you used! Such a cute little card. It is definitely going to make someone's day. It just made me smile when I looked at it. I LOVE this Katie!!! Super AWESOME card and great colors!!!! This is such a sweet card and I love that stitched die cut opening! Love the warm little mittens too! Terrific card! Love the pattern as well! Love the colors. You did a wonderful job. cozy indeed! I really like the pink and reds! Great card. Love the cutout for the gloves. Katie~ You had me at those FUN mittens with that FABULOUS paper but then the gray paper against in in the circle ~ the design ~ LOVE it!! AWESOME as always! Very cute--I like the paper piecing. This is so cute!! I love that fun paper you used! Hugs! Love how you used the stitched circle to show case the cute mittens. I always love a pretty font too and these are beautiful lettering. Not so fancy you can't read it but pretty enough to be a decoration if that makes sense. Beautiful job on your card. I like the strip to match the mittens...a perfect touch!